The sidearm pitching angle was my natural arm slot. I threw from the side all the way back to the Little League days. The advantage for me was a deceptive delivery with increased movement on fastballs and changeups. I did not throw hard so increased movement was the key to my success. As a relief pitcher, my delivery enabled me to pitch multiple days in a row without losing effectiveness. At times, I was more effective when fatigued. I can barely throw a baseball over the top so I would have had no success. I would encourage anyone to add anything they can to their pitching repertoire. If dropping down provides the greatest opportunity for success then work to develop that skill. Mechanically the most important thing for me was to stay back and not rush to the plate. Landing with my front side in a direct line with the front shoulder was also important. When either of these were off in the delivery, I would lose movement and the ability to locate effectively. I threw a 2 seam fastball, slider and changeup. Fastball velocity was in the 80 – 82 mph range. Occasionally, I would reach 85 mph, but the desired velocity was the lower range. Right handers was primarily sinkers middle-in and sliders away. I could locate the fastball away, but there was a greater risk of missing and leaving the ball over the middle of the plate. Left handers was sinkers away, change-ups away and back door sliders. 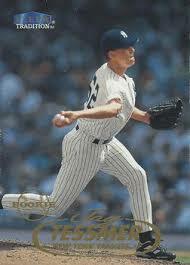 My favorite thing about being a sidearm pitcher was being able to provide a “different” look out of the bullpen. I am certain that if I did not have an unconventional delivery that I would never have had the opportunity to pitch in college or have enough success to get drafted to professional baseball.